Early detection by comprehensive, dilated examination is a great way to identify current or potential vision problems to assure infants’ eyes are healthy and their vision is properly developing. UAB Eye Care, the clinical arm of the UAB School of Optometry, conducts free eye examinations for infants between 6 and 12 months through InfantSEE®, a public health program in optometry designed to ensure that eye and vision care become an essential part of infant wellness to improve a child’s quality of life. The program was developed in 2005 by the American Optometric Association and Johnson & Johnson Vision Care, Inc. Nationwide, the InfantSEE® program has been responsible for discovering retinal cancers and other vision-threatening disorders in infants. The comprehensive, dilated eye examinations, consist of assessing visual function, eye alignment, the need for glasses and eye health, as well as aiming to obtain early recognition of problems with any of these that could lead to vision loss or other problems. 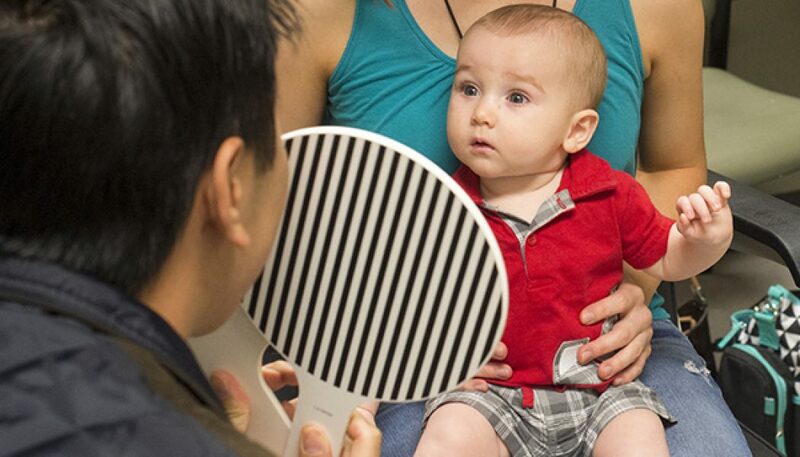 Eye exams for infants may supplement the vision screenings performed by pediatricians. It is possible that a need for further services from an eye surgeon, neurologist or pediatrician may be identified by the pediatric optometrists at UAB Eye Care. If so, doctors will team up to determine ways to maximize the infant’s development long after the evaluation is completed. UAB Eye Care Pediatric Optometry Services has the expertise and equipment to conduct very thorough eye examinations on infants, which is a task not many people are aware can be done. 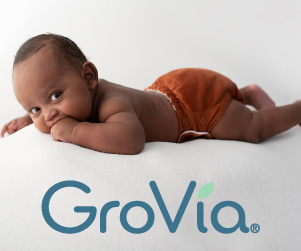 Studies indicate that much of the vision is developing between birth and 6 months of age. While most babies will have perfect eyes, 6 to 12 months of age is a good time to make sure vision development is on the right track. It is important for parents to watch their infant’s eye development and detect these issues as early as possible. Certain vision problems can lead to delays in motor development such as reaching and grasping for objects or beginning to explore their environment. • By 6 months of age, an infant should be able to reach for and follow objects or humans, as well as return a smile. • By 9 months of age, an infant should be able to imitate others using gestures and facial expressions to communicate, grasp small objects with his or her whole hand, and balance well enough to sit upright without support. • By 12 months of age, an infant should be able to pick up objects between his or her finger and thumb and be able to begin to explore by crawling, pulling themselves up on objects to stand with support, and walk around furniture. The InfantSEE® website is available for more information about the program and children’s eye health. To schedule an appointment at the UAB Eye Care Pediatric Optometry Services, please call 205-975-2020.